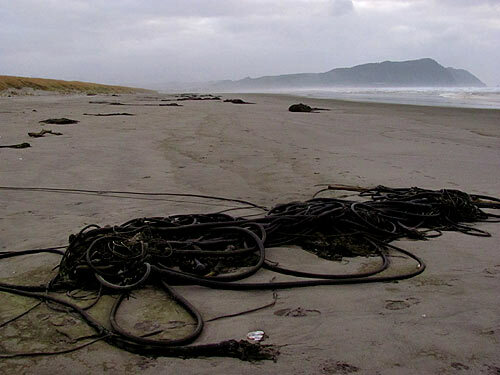 There are really only two main ways to connect with the beach accesses at Gearhart, which run along a couple of roads that run parallel to the sandy dunes of the cloistered north Oregon coast town. 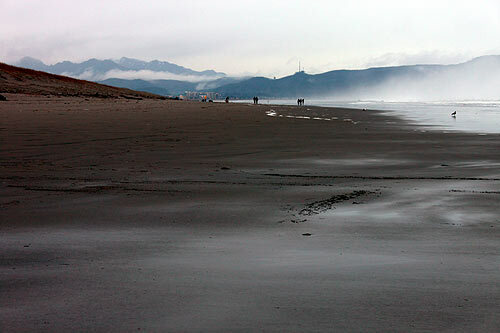 One is to take Pacific Way (at Gearhart's southern end) to reach those streets and various beach spots. The other is at the northern end of town, at Gearhart Lane, following the road around the bend to the golf course and a couple of major resorts and condo buildings. 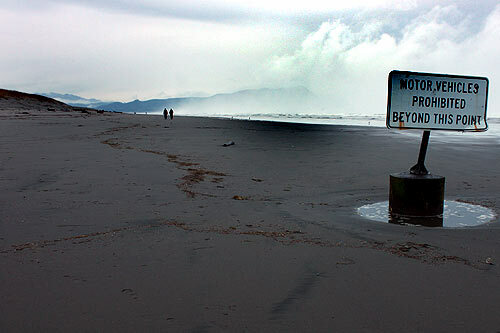 There, you'll find the big access at 10th Street, which is where driving on the beaches of Clatsop County begins. 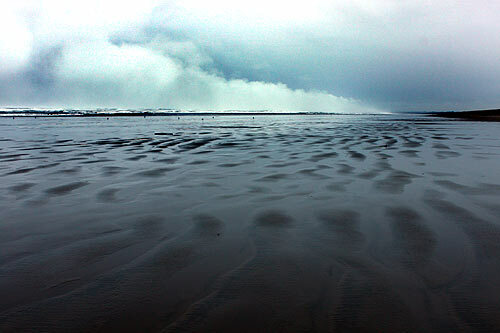 From here, you can drive all the way up to Fort Stevens State Park and the Wreck of the Peter Iredale along the sand, and even at higher tides you're usually fairly safe from the water. From here, you wander all the way past Sunset Beach and Del Rey Beach, until at some point farther north, deeper into Fort Stevens State Park. 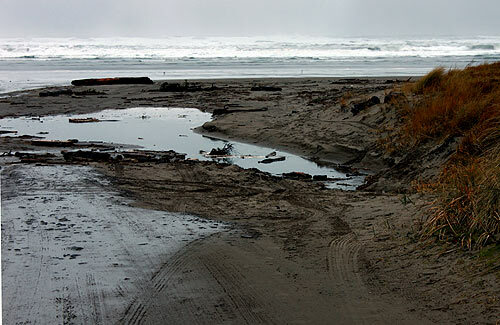 This section of Gearhart is likely not the most pristine in nature because of the cars. It's also a bit unpleasant to have to watch for traffic while on a pleasant, calming stroll along the beach. However, there don't appear to be any traffic incidents involving pedestrians by cars driving along the beaches of Gearhart. Driving south of here is prohibited.